Medical/health insurance is the most popular product in Kenya representing 27% of the general business premiums totalling to KSh 30 billions. With the ever increasing cost of private medical treatment locally and overseas, it is no wonder that many want to get on a health cover plan. Many employees receive medical insurance as a corporate benefit while others enrol on private medical insurance plans. The government also set up the National Health Insurance Fund (NHIF), this is a statutory contribution for all employed and self-employed individuals. It is used to pay for medical costs up to stated limits at government operated medical facilities. Because of the limited benefits and restrictions on the hospital network, many opt to take a private medical plan which has more generous limits. How does it work in Kenya? Local private health care plans in Kenya are not comprehensive in structure, they comprise of an In Patient benefit, which is mandatory, this does not cover costs for outpatient/day procedures, consultations and medications. The insured can therefore add to this a range of options namely outpatient, optical, dental & maternity. This covers the costs when the insured is admitted overnight in hospital, it covers charges like consultations, professional fees, bed charges, procedures and surgeries and more. This is the most basic cover and it is mandatory on any private medical insurance plan. This covers consultations, medications and procedures done at clinics on a day patient basis i.e. where overnight admission is not required. It is an optional benefit that the insured can add to the In Patient cover. Jubilee is the largest general and medical insurance company in Kenya and many parts of East Africa, it offers medical for corporate, SME and retail individuals & families. The retail medical plan has in patient options from KSh 500,000 to KSh 5 Million and is tied to optional outpatient cover limits from KSh 50,000 to 150,000. AAR Insurance is one of the most well known medical insurance providers in East Africa, it started out offering exclusively medical insurance but have diversified into other lines of business like personal accident cover and many workman liabilities. AAR insurance is well known for AAR patient clinics in major towns through which owned and managed by its sister compaany AAR Health Care limited. These clinics serve both AAR and non-AAR clientele. AAR offers the most comprehensive medical plans for individuals and families with dedicated case and care management teams and a No Claims Discount scheme to promote healthy living. They have a sublimit for accidents and one for illnesses. This is different from the providers, which don’t separate the two limits. Secondly, the inpatient plan also includes some cover for small optical benefits, which is not common with other insurers. UAP is one of the largest general insurers and has built a large medical business initially through the corporate and SME clientele but has slowly increased its retail business. It’s the only provider that offers health insurance for senior citizens (over 65 yrs) and also Junior plans for children under 18yrs without requiring an adult to be registered on the policy. In addition, it has the standard retail cover for individuals and families, and a premium high-end option with limits of up to KSh 20 million and finally the economy option targeted at the county option. Resolution is one of the pioneers of medical insurance in Kenya and in East Africa. It has two options, the high end and the economy option targeted at middle-income individuals and families. It has the best mid cost option available especially for families. Like AAR, it has also diversified from medical to more general lines of business like motor, travel, and home and personal accident insurance. APA has built its reputation as a life insurer and investments provider with the Apollo Asset Management brand. However, APA has attracted a big share of the medical market. They offer the most competitive economy medical insurance with the best medical provider network in and outside Nairobi. It has both the economy and high end plans up to in patient cover limits of KSh 10 millions providing optional benefits like outpatient, maternity, optical and dental covers. 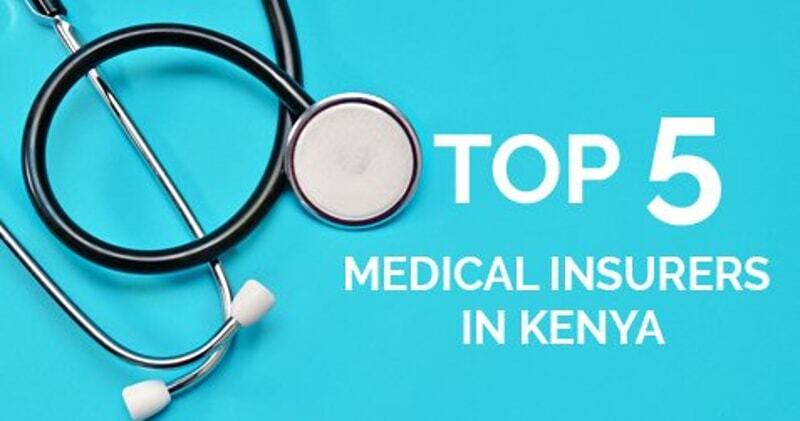 In addition to the above 5 providers, there are other companies offering retail and corporate health insurance like First Assurance, KenIndia and Heritage and BRITAM for corporate only. First Assurance offers one of the lowest limits of retail medical products with limits for in-patient as low as KSh 100,000 per year all the way up to KSh 5 million. They have a wide range of flexible optional outpatient limits for health insurance cover in Kenya for individuals and families up to 65 years of age. In addition to the standard health plans, there are several large custom medical funds that are underwritten by the insurers themselves e.g. teachers fund, police fund etc. These are not available for public enrolment. There are also many funds operated by medical providers where members of the public can enjoy treatment up to agreed limits by paying an annual fee. One such fund is the Avenue Health Care Plan. This scheme offers very competitive rates for employers looking for cover for junior to mid level staff, combining good outpatient limits. Members can get treatment at all Avenue health care centres in Kenya and other medical providers on referral. Finally, the last and most expensive health care plans are the internationally renowned plans offered by the international companies like AXA, AETNA, NOWHEALTH, BUPA and many more. These high-end medical plans start from as high as US dollars 1,500 and are more comprehensive, offering treatment at the top medical providers here in Kenya and worldwide. They also have more flexible options on waiting periods and very few medical conditions are excluded from the cover compared to the local medical plans. They are offered locally through exclusive brokers and providers and they promise high quality executive care. So, there are three categories of medical insurance, the government medical fund NHIF, private medical health care plans and finally the international medical plans provided by global insurance powerhouses.